We evaluated the role of terrain as a factor determining the spatial distribution of Mute Swan wintering in the conditions of the Gulf of Siwash. It was found that the number of clusters of mute swans wintering in Sivash subordinate to the log-normal distribution. The arithmetic mean value of the number of clusters is 532.1 ± 203.1 induviduals, median is 129 ind. with a range from 5 to 8.000 ind. Deviation from the normal law of the number of animals can be seen as the result of the impact of limiting factors. The article confirm the hypothesis that the relief is a synthetic reflection of the ecological environment, which determines the spatial distribution of wintering mute swans. We proved that for the quantitative characterization of the relief the digital elevation model and derived data layers that reveal different aspects of the functional significance of the earth's surface as a factor in organizing the structure of the living cover are very important. Axis with 1-4 marginality and specialization, resulting from ENFA-procedure, was significantly different from random alternatives. This indicates that ecogeographic variables selected as prospective predictors are able to identify some of the features of the ecological niche of wintering mute swan. The greatest marginality was characterized by categorical variables that indicate various forms of relief. The greatest preference was registered for various open slopes while the continual variables complement the features of these habitats. Open slopes, naturally, are characterized by a large factor in the erosion, they have more rugged terrain and geomorphological conditions of areas with great diversity. Continual variables are also characterized by a large value in determining the ecological niche specialization of mute swan. Multiple scale organization of the geographical landscape causes the hierarchical organization of the ecological niche. Properties of ecological niches at different scale levels indicate that the nature of perception of reality geomorphological mute swan is significantly different depending on the transmission window size, which determines the level of a large-scale review of the ecological niche. There is certain variation in distance where geomorphological predictors are not able to statistically reflect the particular spatial bird distribution. Properties with marginality tend to appear even at one kilometer distances, whereas properties with specialization - a distance of more than 6 km. At different ranges, some predictors of transmission windows can be inverted: the variability determines the ecological niche with inverted value. Direct gradient analysis allowed us to evaluate the projection of the ecological niche on the individual axes of ecological spatial pattern. Analysis within the HOF-concept showed that the variation of wintering mute swans abundance along the gradient of geomorphological variables could noe be described by the type I model, i.e the mute swan number depends on the geomorphological conditionsof habitat. Another important result is that the gradients for many predictors are unbalanced and/or bimodal. Andryushchenko, Yu., Katysh, S., Popenko, V., Siokhin, V., Chercnichko, J. (2010). Metodiki oblіku ptahіv dlja ocіnki stanu resursіv mislivs'kih vidіv vodno–bolotnih ptahіv u mislivs'kih gospodarstvah Azovo–Chornomors'kogo regіonu Ukraїni. Melіtopol, Laguna (in Ukrainian). Bock, M., Köthe, R.,(2008). Predicting the Depth of hydrologic Soil Characteristics. Hamburger Beiträge zur Physischen Geographie und Landschaftsökologie, Heft 19, 13–22. Boehner, J., Antonic, O. (2009). Land Surface Parameters Specific to Topo–Climatology (pp. 195–226). Hengl, T. & Reuter, H.I. (Eds.). Geomorphometry. Concepts, Software, Applications. Elsevier. Calenge, C., Basille, M. (2008). A general framework for the statistical exploration of the ecological niche. Journal of Theoretical Biology, 252, 674–685. Caruso, N., Guerisoli, M., Luengos Vidal, E.M., Castillo, D., Casanave, E.B., Lucherini, M. (2015). Modelling the ecological niche of an endangered population of Puma concolor: First application of the GNESFA method to an elusive carnivore. Ecological Modelling, 297, 11–19. Davidov, O.V., Rozkos, N.O., Rozkos, O.M. (2013). Zagal'nі osoblivostі poshirennja roslinnostі na berezі zatoki Sivash, Azovs'ke more. Vіsnik Odes'kogo nacіonal'nogo unіversitetu. Geografіchnі ta geologіchnі nauki, 18(3), 57–65 (in Ukrainian). De Angelo, C., Paviolo, A., Di Bitetti, M. (2011). Differential impact of landscape transformation on pumas (Puma concolor) and jaguars (Panthera onca). The Upper Paraná Atlantic Forest. Divers. Distrib, 17, 422–436. Dehn, M., Gärtner, H., Dikau, R. (2001). Principles of semantic modeling of landform structures. Computers and Geoscience. Computers & Geosciences, 27, 1005–1010. Galparsoro, I., Borja, Á., Bald, J., Liria, P., Chust, G. (2009). Predicting suitable habitat for the European lobster (Homarus gammarus) on the Basque continental shelf (Bay of Biscay), using Ecological–Niche Factor Analysis. Ecol. Model, 220, 556–567. Guisan, A., Weiss, S.B., Weiss, A.D. (1999). GLM versus CCA spatial modeling of plant species distribution. Plant Ecology, 143, 107–122. plea for standard terminology. Wildlife Society Bulletin, 25, 173–182. Halstead, B.J., Wylie, G.D., Casazza, M.L. (2010). Habitat suitability and conservation of the giant gartersnake (Thamnophis gigas) in the Sacramento Valley of California. Copeia, 4, 591–599. Hemery, L., Galton–Fenzi, B., Améziane, N., Riddle, M., Rintoul, S., Beaman, R., Post, A., Eléaume, M. (2011). Predicting habitat preferences for Anthometrina adriani (Echinodermata) on the East Antarctic continental shelf. Mar. Ecol. Prog. Ser, 441, 105–116. Hirzel, A.H., Hausser, J., Chessel, D., Perrin, N. (2002). Ecological–niche factor analysis: How to compute habitat– suitability maps without absence data? Ecology, 83, 2027–2036. Huisman, J., Olff, H., Fresco, L.F.M. (1993). A hierarchical set of models for species response analysis. Journal of Vegetation Science, 4, 37–46. Jansen, F., Oksanen, J. (2013). How to model species responses along ecological gradients – Huisman–Olff–Fresco models revisited. Journal of Vegetation Science, 24, 1108–1117. McCool, D.K., Renard, K.G., Foster, G.R., (1994). The Revised Universal Soil Loss Equation. Proceed. Int. Workshop on Soil Erosion. The Center for Technology Transfer and Pollution Prevention, Purdue University. West Lafayette, IN., USA. Moeller, M., Volk, M., Friedrich, K., Lymburner, L. (2008). Placing soil–genesis and transport processes into a landscape context: A multiscale terrain–analysis approach. 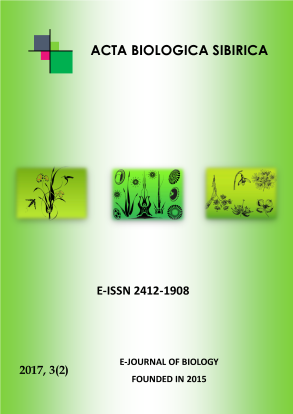 Journal of Plant Nutrition and Soil Science, 171, 419–430. Moore, I.D., Nortin, T.W., Williams, J.E. (1993). Modelling environmental heterogeneity in forested landscapes. Journal of Hydrology, 150, 717–747. Olaya, V., Conrad, O. (2008). Geomorphometry in SAGA. In Hengl, T. & Reuter, H.I. (Eds.). Geomorphometry: concepts, software, applications. Elsevier. Panagos, P.A., Borrelli, P. Meusburger, K. (2015). New European Slope Length and Steepness Factor (LS–Factor) for Modeling Soil Erosion by Water. Geosciences, 5, 117–126. Sappington, J.M., Longshore, K.M., Thompson, D.B. (2007). Quantifying landscape ruggedness for animal habitat analysis: a case study using desert bighorn sheep in the Mojave Desert. Journal of Wildlife Management, 71(5), 1419–1426. Thiebot, J.–B., Lescroel, A., Pinaud, D., Trathan, P.N., Bost, C.–A., (2011). Larger foraging range but similar habitat selection in non–breeding versus breeding subAntarctic penguins. Antarctic Science, 23, 117–126. Valle, M., Boria, Á., Chust, G., Galparsoro, I., Garmendia, J.M. (2011). Modelling suitable estuarine habitats for Zostera noltii, using Ecological Niche Factor Analysis and Bathymetric LiDAR. Estuar. Coast. Shelf Sci, 94, 144–154. Wischmeier, W.H., Smith, D.D. (1978). Predicting rainfall erosion losses. Agricultural handbook. Washington. № 537.